For over decade, Cash for Cars has proudly been serving Kansas City and the surrounding areas. We pride ourselves on a strong work ethic and always put our clients first. We offer a quality service at competitive rates, same day service with professional personal. Our experience easily qualifies us to meet your needs with care and the best in customer service. No matter what your make and model, we’ve got the proper know-how and equipment to successfully move it. As a locally owned and operated business, we have earned a reputation as the leader in our industry and have many satisfied clients in Kansas City and the surrounding areas. Our customers know us as a company that can be relied on for all of their vehicle sales needs, and that’s a reputation that we’re proud of! If you have a junker, a clunker, a beater, or any vehicle running or not. 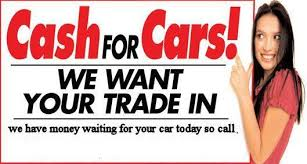 Call Cash for Cars today at 913-271-9406 for a free quote. 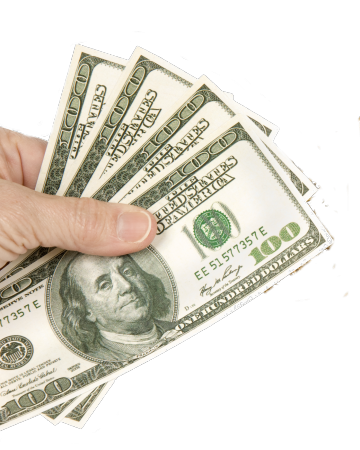 Contact us to Get Fast cash for your Used Car (Whether its wrecked, damaged or broken) Cash for Cars is a company dedicated to giving you an opportunity to sell your used car, truck, van, or motorcycle fast Our aim is to please you with our service! We are using a clean and well-maintained fleet of recovery and towing vehicles. Through the assistance of our skilled drivers, they are ready to pick up your used car and pay you in cash.They are well-trained in handling difficult situations in a safe, efficient and fast manner everyday. Cash for Cars is paying top dollars for running and not running used vehicles If you have a car, truck, van or motorcycle that does not operate, then call us. If the police threatened to haul your broken vehicle off, let us know. One of our car buyers will come and pick your used vehicle up and leave you with cash for your used car. Want to get rid of your vehicle fast and easy Contact Cash for Cars at 913-271-9406! Cash for Cars is dedicated to paying you top dollars for beaters and junkers as well as non-operating cars. Allow us to eliminate the stress of selling your used vehicle. We provide an alternative to expensive repairs and are dedicated to offering you the best price for your car. Cash for Cars offers a reasonable market value for your wrecked, damaged or broken car. We are buying damaged and wrecked cars, vans, trucks, motorcycles and SUVs in Kansas City and the surrounding areas.Even though the damage is brought by a collision, mechanical failure or flood, we will buy your used car for the most reasonable price. We purchase all models and makes, previously repaired and damaged used cars, wrecked cars, newer cars, Exotic vehicles, rebuilt title, and salvaged used cars are also included in the list of used vehicles that we purchase. We are employing a formula driven approach when buying your car. The thing that sets us apart is that we have the ability to handle all types of used cars and various situations. We are reviewing information on hundreds of used cars to provide you with the best possible offer. Thus, we make the process of buying your car fast and easy. You can get an instant offer on your used car. Do not settle for a trade in offer. You can get fast cash for your car today and our team will pick up your car with no further expense. At Cash for Cars, our goal is to pay top dollar for all used vehicles, damaged vehicles, and broken vehicles. If you own a used car that is wrecked, damaged, or broken, running or not running, you can rely on us to pick it up and pay you cash. We have built our reputation for being a leader in the industry for buying used cars We have satisfied clients in and around Kansas City, and we would like to make you one also. Cash for Cars achievements stem from the competitive rates of our services. Our service has set us apart from other companies. Our skilled and dependable team gives the best service, and complete satisfaction to our valued clients. Our previous customers believe that our company is reliable when it comes to their automotive sales needs and we are proud of our reputation! Selling a used vehicle that is wrecked, damaged, or broken is painful. This is the reason why we have decided to reinvent the process of selling your car. Cash for Cars makes the process of buying your used car anxiety-free and transparent. We address the main stress point – the haggling and negotiation of vehicle price. How are we doing this? We make it simple by showing you the market price for selling your car that is fair and honest. Our company offers the best price to our valued customers for selling used vehicles. Our rigorous inspections, countless evaluations and number of searches ensure that we are buying used vehicles at the best prices. We are confident in purchasing your used cars, trucks and motorcycles. Allow us to make you understand our true commitment to satisfaction. We are applying extraordinary measures in ensuring that our customers get complete satisfaction. At Cash for Cars, our customers can expect the fastest, easiest and safest way of selling a car. With just one call to us, you can get an instant quote. We accept all models, makes and types of cars that are running or not running.